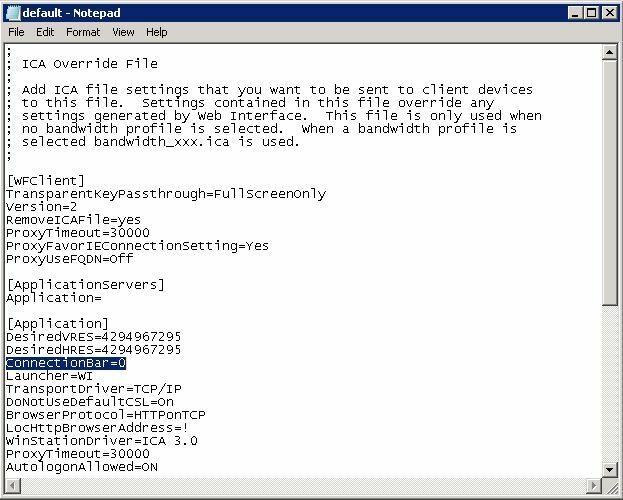 The Desktop Viewer can also be enabled and disabled in default.ica on each Web Interface site where ConnectionBar=0 disables and ConnectionBar=1 enables the Desktop Viewer. This setting is found in the [Application] section. 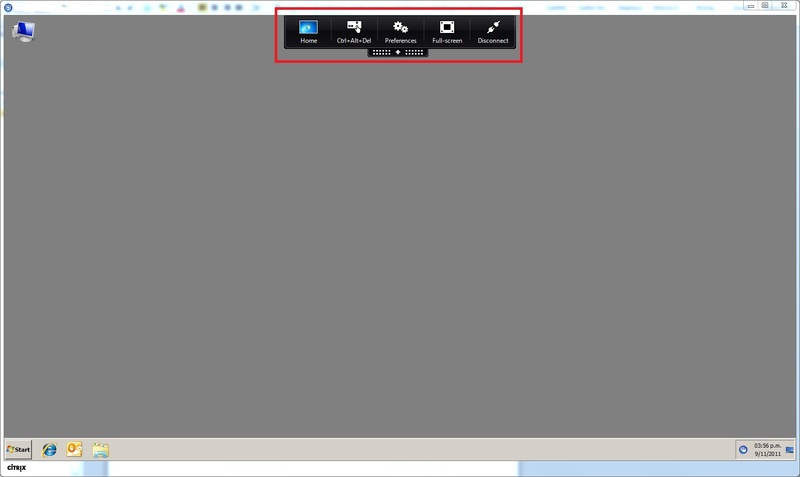 However, when ConnectionBar=1 is set this breaks seamless applications – they are seamless no more and have frame with the Desktop Viewer showing which is probably NOT what you are after! I recommend using for former method of setting ShowDesktopViewer=On only. 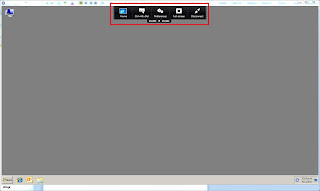 Note that once the Desktop Viewer is enabled the display settings from the farm and Web Interface are ignored the idea being that Desktop Viewer gives the user control of how to size and place their desktop session. 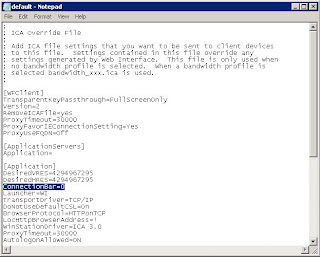 Enabling the Desktop Viewer on a desktop appliance site where a published desktop automatically opens full screen will break this functionality; the desktop session will open in a window instead.